SEE THE FOUR ISLANDS IN ONE DAY! Discover the beauty of Ko Lanta and the surrounding famous “4 Islands” on a traditional longtail boat, a Thai fishing boat or a speedboat. Tours are available from November to April and let you discover the magic of Emerald Cave at Ko Mook as well as snorkelling at Ko Rok and enjoying lunch on a pristine beach on Ko Ngai. 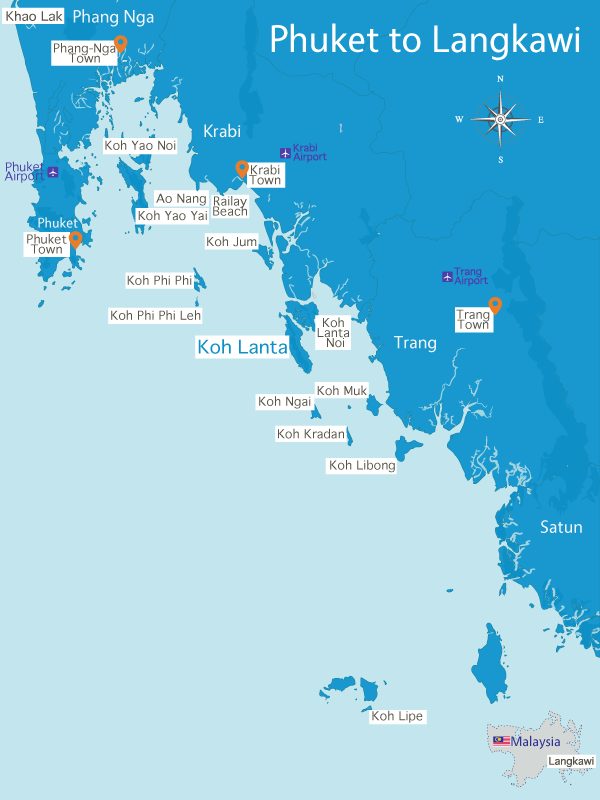 There are numerous operators of Ko Lanta Boat Trips, so it’s best to read customer reviews and to get a sense of where the boat goes and what’s included in the price. Lanta Dream And Paradise operate small private longtail boat tours from Ko Lanta which plan an itinerary for you to avoid the crowds and show you the best of the islands that you’ll be visiting. They have excellent feedback from guests, who praise the customer service from the staff, and the included lunch. Opal Travel 4 Island Tour Speedboat use a speedboat rather than longtail which lets you get to the 4 Islands much quicker than a longtail and gives you more space. The Four Islands is another well-regarded operator which uses a converted fishing boat which accommodates 30 or more guests, which provides you with plenty of room to stretch out and relax during the cruise to and from the islands. Explore the small islands and cave around Koh Lanta in the popular fun-filled day tour. You’ll be picked up from your hotel by your operator so when you book make sure you know the name and location of your hotel. Once on board your boat, you’ll either head off at a pace on a speedboat, or go at a more sedate pace on the longtail or larger fishing boat. Arriving at incredible Koh Ngai the crew will leave the boat to prepare your lunchtime BBQ and deliver you to either Ko Maa or Ko Chuek for some great snorkelling and even cliff jumping if you dare! The cruise continues to Ko Muk, home of the spectacular ‘Emerald Cave’ (Tham Morokot). On arrival at Ko Muk the pace slows down with cruise along the beautiful shoreline until arriving at the cave. The Emerald Cave is very popular so don’t be surprised to see other groups. The cave is a 80 meter guided swim through a cavern that brings you to a hidden lagoon, undoubtedly the inspiration for the tunnel cave and secret lagoon of Leonardo DiCaprio’s movie ‘The Beach’. 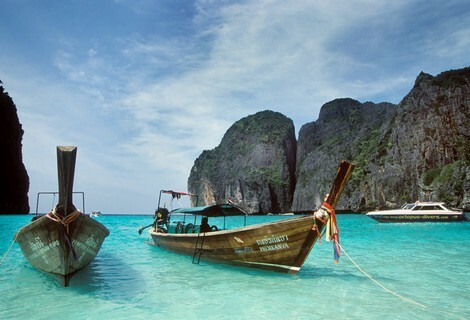 After the cave, the cruise continues to Ko Ngai where your sumptuous beach BBQ awaits. After your meal you have free time for a stroll or swim. The boat leaves for Ko Lanta at around 3pm, and once docked back on the island, you’ll be returned to your resort.